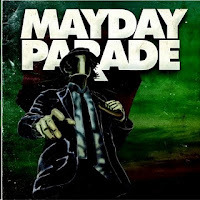 Mayday Parade have landed with their third studio album, a self-titled release that represents a new found maturity in the band's song writing abilities that in turn gives them a much needed boost of credibility. The album kicks off with 'Oh Well, Oh Well'. Derek Sanders vocals are as emotive and genuine as ever, the initial sung intro soon launches into a huge pop/rock section that as an opener for the album blows you away, it’s a monster of a track and it’s not the only one either, this album to put it as bluntly as possible is big. The chorus for 'When You See My Friend' is absolutely huge and 'Priceless' is sing-along central. In all honesty there really isn’t a truly bad song on the record, sure, there are some average ones, but on a 14-track album, that’s only to be expected, for every average song there’s two or three songs that make up for it and as previously said, the song writing has reached a new realm of maturity. 'Without the Bitter The Sweet Isn’t As Sweet' will have the fangirls crying into their bowl of Lucky Charms while 'Happy Endings Are Stories That Haven’t Happened Yet' ends the album with aplomb. It’s a real showcase of how far Mayday Parade have come, it’s no coincidence that it’s with their self titled album that as a band they’ve found their comfort zone. What Mayday Parade have done here is make a fantastic album, that’ll put a smile on the faces of even the biggest doubters. 'Mayday Parade' is out now.